Canon is one of the most trusted brands in the world of DSLR photography. They have a lot of great camera models and one of the most popular ones are the Canon EOS-1DX and the EOS 5D Mark III. Both of these cameras are famous and popular for their unique features. Let’s check out the main differences between these two great camera models. EOS-1DX shoots faster at the highest resolution with auto focus. In fact the shooting is 2.3 times faster than that of the Mark III. The 1DX is also dustproof and water resistant. The resolution is a little higher than the one offered by the Mark III. The 1DX model suffers a lower shutter lag than the Mark III. 1DX comes with GPS, which is very helpful for geo-tagging and global positioning. The flash X-sync is also faster in the 1DX than the Mark III. The number of megapixels in the Mark III is 23.4 MP. The Mark III offers 24p cinema mode, which allows creating film-like motion characters in the photograph. The maximum light sensitivity in the Mark III is a lot higher than that in the 1DX. The pixel density of the screen is 481 PPI compared to the 469 PPI in the 1DX. The weight is 390 gms lighter than the 1DX. The Mark III offers built-in HDR mode and also comes with an HDMI output. The shutter speed can be set to manual, which is not available in the 1DX model. Most camera models do not come with a 3.5 mm audio jack, but the Mark III does. The body is a lot smaller and more compact than that of the 1DX. The lens in the Mark III is branded and not the low-cost unbranded lenses which come along with the 1DX. The body is also thinner, narrower and shorter than the Mark III. The viewfinder coverage is 100%, which is a smart feature not available in most recent DSLR models. When it comes to comparing between these two models, the Mark III is way better than the 1DX in most fields, but the price factor has to be considered as well. The Mark III is a lot more expensive than the 1DX. Despite its high price, the Canon EOS 5D Mark III is a masterpiece from Canon! 1DX offers faster shooting at the highest resolution than the Mark III. 1DX is dustproof and water resistant, but the Mark III is not. The shutter lag is lesser in the 1DX than the Mark III. 1DX comes with a GPS, but the Mark III does not. Mark III has higher megapixels than the 1DX. The pixel density in Mark III is higher than that of the 1DX. Mark III offers 24p cinema mode and HDMI output, but the 1DX does not. Mark III is more compact and weighs less than the 1DX. Mark III offers built-in HDR mode, but the Canon EOS-1DX does not. ishraq. "Difference between Canon EOS-1DX and EOS 5D Mark III." DifferenceBetween.net. 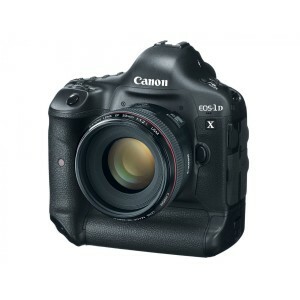 March 25, 2014 < http://www.differencebetween.net/object/gadgets-object/difference-between-canon-eos-1dx-and-eos-5d-mark-iii/ >. The Mark III is a lot more expensive than the 1DX? The 1DX is a lit more expensive – that is simply not true! !